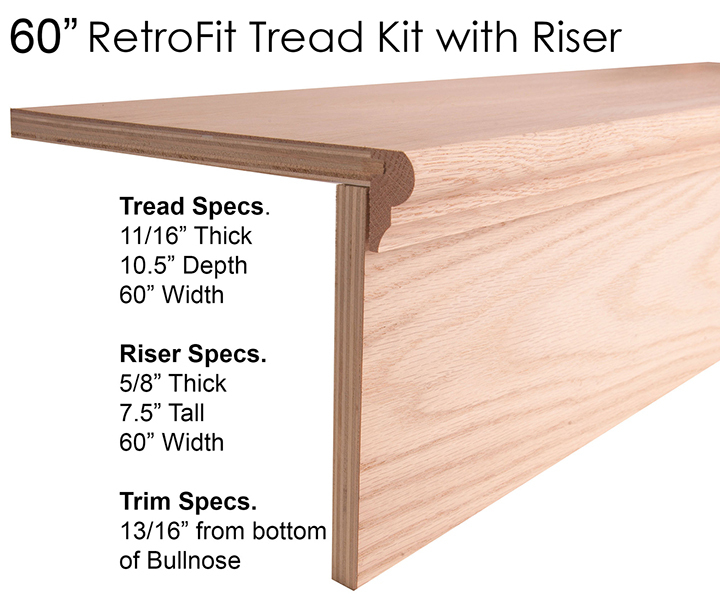 Retrofit tread kits are the most affordable option to remove carpet and add hardwood treads to your staircase. 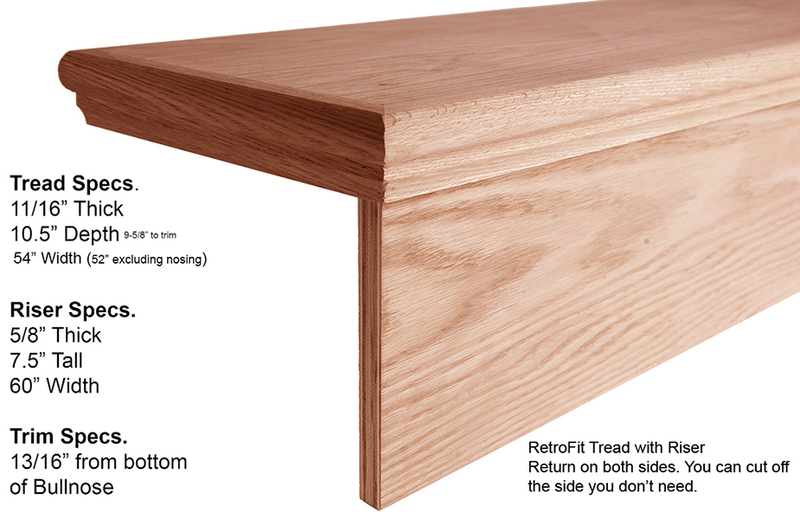 RetroFit treads and risers are uniquely designed to replace traditionally used carpet and padding. 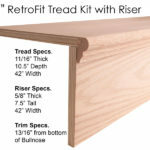 As opposed to purchasing riser and cove materials on their own, this kit provides all materials needed for plain (closed stairs) and mitre return (open ended stairs) in three tread options. See the below transformation of an outdated carpeted staircase using a full range of iron and wood products from House of Forgings. 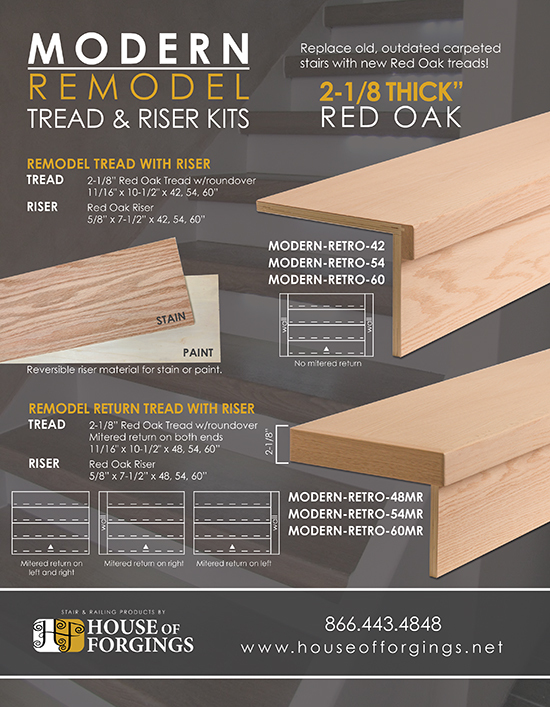 Call or email us today for more information or pricing. Modern Remodel Tread & Riser Kits allow you to transform outdated stairs into new stylish stairs in no time at all! 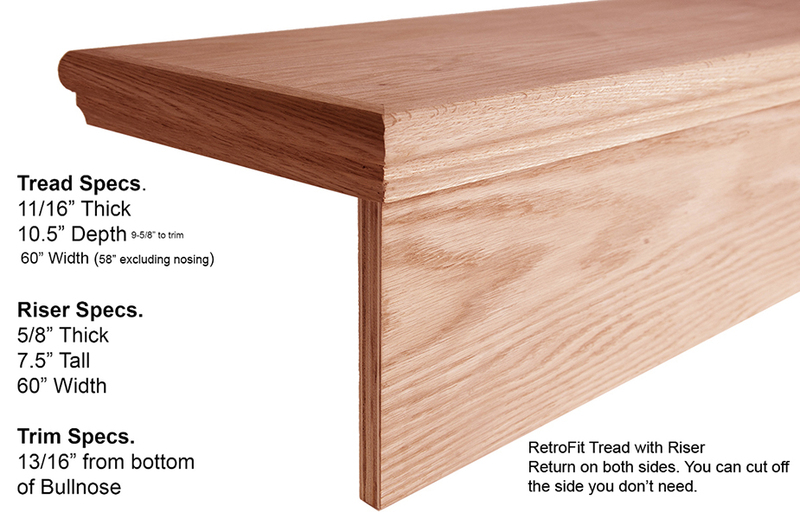 Get the “look” of thick, solid 2-1/8″ treads at a fraction of the price! 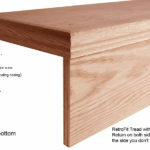 Available with or without mitered returns for both open and closed stairs. Reversible riser material allows for the look of rich wood stain or vibrant paint to contrast with the treads. Supplies are limited so get yours today!